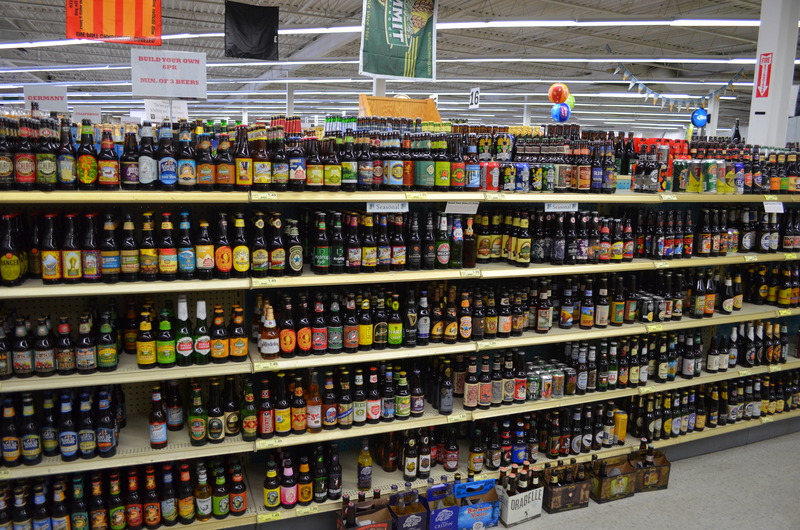 Men’s Journal has named us the best beer store in the state of Missouri! The Lukas Beer Department also boasts the BEST keg selection in St. Louis. While we might not carry every keg all the time, we have access to hundreds of kegs from everywhere around the globe. Be sure to check out our “Keg List” page for full keg details! If your ordering a keg for a weekend get together, make sure to order your keg before Wednesday at 4:00 p.m. to ensure we can get it in time. Our beer cooler has 31 doors of domestic and imported beer chilled and ready to go. That’s 151 feet of refreshing brews iced down and ready to serve! Do you carry Logboat Coffee Stout? I had my distributor check, and they do not have a listing for a regular Logboat Coffee Stout. We still have a bit of their Bennie Mocha Stout left, but that is a once a year seasonal. Can you get Zywiec or Warka Dark? Unfortunately neither of these beers are currently available in the Missouri market. If they do become available, we will certainly bring them onto our shelves. I love your beer selection but can someone please do a better job of removing outdated beer from the shelves. I found a beer that I wanted the other day but the date on the calendar was Nov….2017! I do my best to check dates but recently got home and noticed that a 6 pack of Denver Pale Ale that I purchased was skunky and sure enough, it was dated December 2017. With the price of craft beer nowadays pouring it down the drain is the last thing that I want to do. I am very sorry to hear this about our beer selection, and that you are discovering multiple issues. We work hard with both distributors and suppliers to make sure we have as fresh of beer as possible. I know that no one is perfect, but we certainly strive to be as close as possible. I will address this issue tomorrow with the management team here at Lukas and we will make the extra effort to clean up our shelves. In the meantime, if you ever come across beer that is past expiration or is skunky, please bring it back so we can refund your money or exchange it for something else. Please don’t hesitate to reach out to me if you discover reoccurring issues with beer dates. can you get polish beer delivered in Missouri? Stacey, the only Polish beer we currently have is a brand called Wasosz, but we do have three different styles from them. Do you carry Narragansett beers? Unfortunately Narragansett is not available in Missouri.